Chiropractic care is well known for safely and successfully relieving neck pain, back pain and carpel tunnel but it may also safely treat countless other ailments, disorders, diseases and injuries. Doctors of chiropractic are specialists in the body’s central nervous system (brain, spinal cord and nerves) and are highly trained to identify health conditions caused by irregularities with the body’s central nervous system. 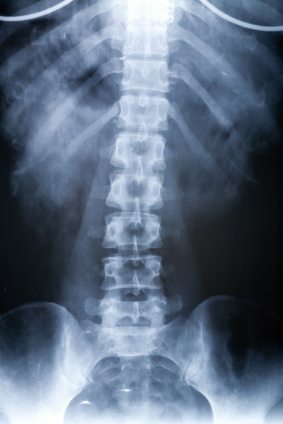 Doctors of chiropractic use adjustment techniques that do not involve drugs or surgery and are not considered risky and dangerous. They help restore the body’s powerful ability to heal itself and prevent health problems from developing in the first place. A doctor of chiropractic (D.C.) must go through school similar to traditional medical doctors. Chiropractic colleges have the same admission requirements as medical schools. They require three to four years of undergraduate study with emphasis on chemistry, science, biology, physics and anatomy. Chiropractic students then go on to complete four to five years of intensive study and training to achieve their Doctorate of Chiropractic. The first two years of study for a chiropractic student are very similar to those of a medical student. After that, chiropractic students and medical students begin to take different routes in their education. Medical students begin to focus on pharmacology (drugs) and surgery while chiropractic students target the central nervous system, the causes and effects of subluxations, and the body’s natural ability to heal itself. A doctor of chiropractic must obtain a license to practice chiropractic care and is required to complete continuing education to maintain a license. Many people are selecting chiropractors as their primary care physicians in order to address their health concerns. A subluxation is a condition where a bone loses its proper alignment or position. When this happens, often times the nerves running through or next to these bones undergo stress or pressure. This could interfere with the impulses sent via the nervous system to your entire body. A subluxation can occur in the spine (known as a vertebral subluxation), arms, legs, head or jaw. These subluxations can be present for years before showing any symptoms. In addition to causing interference with the energy flowing through the nervous system, subluxations can lead to severe pain and overall chronic health issues. Networks or groups of nerves running throughout the entire body originate at different levels of the spine. Each of these unique networks of nerves controls different cells, tissues and organs of the body. A subluxation can alter and impede the functions of these cells, tissues and organs controlled by each respective group of nerves. When the interference (subluxation) is removed, the body can unleash its powerful ability to heal and restore health. What Does Realistic & Effective Health Care Reform Look Like? Health care in the United States today is extremely expensive. Yet even though we spend more than other countries on health care, we surprisingly rank as one of the more unhealthy countries in the world. At Baker Chiropractic, we believe the realistic answer to Health Care Reform is an integration of chiropractic care and medical care. Chiropractic care, exercise and proper nutrition can provide for the prevention and treatment of ailments, injuries, disorders and diseases while the medical profession can focus on critical care, emergency care and trauma. With a system like this, costs can be radically reduced, health care can then realistically become affordable and we all can truly enjoy our “life, liberty and pursuit of happiness.” Contact us today to learn more or to schedule an appointment. Request one of Dr. Baker’s Free Reports on a variety of health issues. Start to gain the knowledge needed to make critical health decisions. Visit our growing library of Free Reports by clicking here: Dr. Baker’s Free Reports. Our chiropractic physicians keep very busy with speaking engagements aimed at educating people on the benefits of chiropractic care and overall wellness. The following is our current list of presentations available for download. We also invite you to register for our live webinars to learn more about the power and effectiveness of chiropractic care. The doctors at Baker Chiropractic are routinely asked to be featured speakers or presenters at a wide variety of corporate events and seminars. If you would like to inquire about scheduling one of the Baker Chiropractic doctors to speak at your next venue, please Contact Us now.